“I don’t need ketchup or mayonnaise from Israel. I need my business back,” says Nasser al-Helo standing on a busy street in Gaza City. Mr Helo used to run a business making steel doors in the Gaza Strip. Before the blockade he was able to import metal from Israel and would produce more than 300 doors a month. Private industry has been devastated by Israel’s blockade, which was tightened in 2007 after the Islamist group Hamas seized control of the coastal territory. Factories making anything from furniture to textiles, floor tiles to biscuits have gone under. The Israeli blockade has starved them of the raw materials they need to produce their goods. Hundreds of thousands of people have lost their jobs. The United Nations estimates unemployment is at 40% in Gaza. Mr Helo used to employ 32 people at his factory. Now there are only four. The overwhelming feeling among Gazans is that Israel’s announcement on Thursday that it is “easing the blockade” is simply not enough. The details of how the blockade will be “liberalised” are still not clear, but reportedly the Israeli authorities will allow more civilian goods to enter, including all food items, toys, stationery, kitchen utensils, mattresses and towels. Construction materials for civilian projects will be allowed in under international supervision. “Of course it’s not enough,” says Omar Shabban, an economist at the Gaza-based think tank PalThink. “What about the blockade on people for starters?” he asks. Israel maintains tight control of the border with Gaza, only allowing out a limited number of people to seek medical treatment. Israel says this is needed to protect itself from “terrorist” attacks. The Rafah crossing into Egypt has also been closed since 2007, although special medical cases are also sporadically allowed to pass through it. 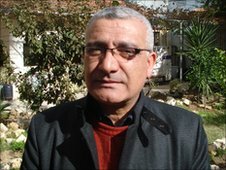 Mr Shabban argues that what is really needed in Gaza is not a few more food items – many of which are already available through smuggling tunnels running under the Egyptian border – but a total lifting of the blockade to allow people to work in Israel, as over 100,000 people used to do. 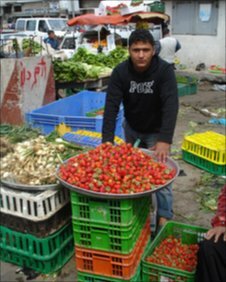 Gaza also used to export many goods to Israel and beyond. Strawberries and flowers are still two of Gaza’s most famous products, but most of them never get beyond the barrier into Israel. Instead, in strawberry season in January they are sold dirt-cheap off huge wheelbarrows on street corners, the vendors desperate to sell them at any price before they rot. Israel has argued that the blockade is necessary to put pressure on Hamas. The group came out top in the Palestinian parliamentary elections in 2006, but the EU, the US and Israel refused to recognise Hamas in government unless it renounced violence and its commitment to destroy Israel. Then in June 2007, Hamas ousted its secular rival, Fatah, and the Fatah-dominated Palestinian Authority security forces from Gaza. Over the past decade, Hamas has fired thousands of rockets into Israel, killing more than 20 Israelis. But since Israel’s major offensive on Gaza in 2009, which devastated the territory and left more than 1,400 Palestinians and 13 Israelis dead, the number has dropped dramatically. One person – a Thai farm worker – has been killed in southern Israel by a rocket fired from Gaza in the past 12 months. Hamas has tried to rein in rocket fire, but it does not control all the militant groups in Gaza and sporadic, usually ineffective rocket fire continues. Israel says it is the responsibility of the Hamas authorities to stop all rocket attacks, and that the blockade is necessary to stop weapons being brought into Gaza. But at least until now the list of items banned from entering Gaza has gone far beyond weapons. 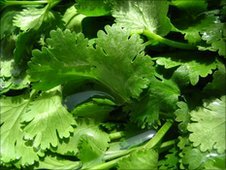 Coriander, chocolate and children’s toys have famously been excluded. In actual fact, such things are readily available in the supermarkets in Gaza. Millions of dollars worth of goods are smuggled in through tunnels from Egypt. There is food on the shelves and in the markets but the blockade means it is too expensive for most people to afford. 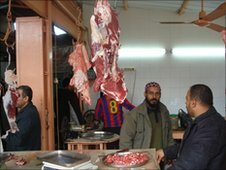 A kilo of beef smuggled from Egypt costs around $15, more than most Gazans earn in a day. “We are living on a black-market economy,” says Mr Shabban. Gazans have little faith in Israel’s announcement. At best, they will wait and see if anything changes in the coming weeks and months. Indeed, like most places in the world, people here are more preoccupied with the World Cup. The cafes of Gaza City on Friday were full of people cheering on Algeria as they thrashed out a dire draw with England. The beaches in Gaza are packed this weekend with thousand of children enjoying summer camps and frolicking in the Mediterranean Sea. But as they play in the water, a reminder that the blockade of Gaza is still very much in place – the sound of machine-gun fire just a few kilometres off the coast. Israeli navy ships, which continue to occupy and control Gaza’s territorial water, regularly open fire on Palestinian fishing boats that stray beyond the limits of where Israel allows them to fish. Yet most of the children did not even bat an eyelid at the gunfire. The blockade here has been come a way of life. Few people are optimistic that will change. Rafah crossing: Who holds the keys? Despite declarations that it has “disengaged” from the Gaza Strip, Israel maintains control of the Strip’s overland border crossings, territorial waters, and air space. This includes substantial, albeit indirect, control of the Rafah Crossing. 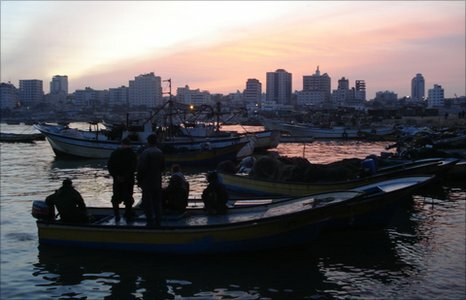 These policies punish innocent civilians with the goal of exerting pressure on the Hamas government, violating the rights of 1.5 million people who seek only to live ordinary lives – to be reunited with family, to pursue higher education, to receive quality medical treatment, and to earn a living. The effects of the closure were particularly harsh during the military operation of Dec. 2008 – Jan. 2009. For three weeks, Gaza residents had nowhere to flee to escape the bombing. Gisha – Legal Center for Freedom of Movement calls on the State of Israel to fully open Gaza’s crossings and to allow the real victims of the closure – 1.5 million human beings – the freedom of movement necessary to realize their dreams and aspirations.